Year: 2004. Client: Al Ghad Newspaper, Amman, Jordan. 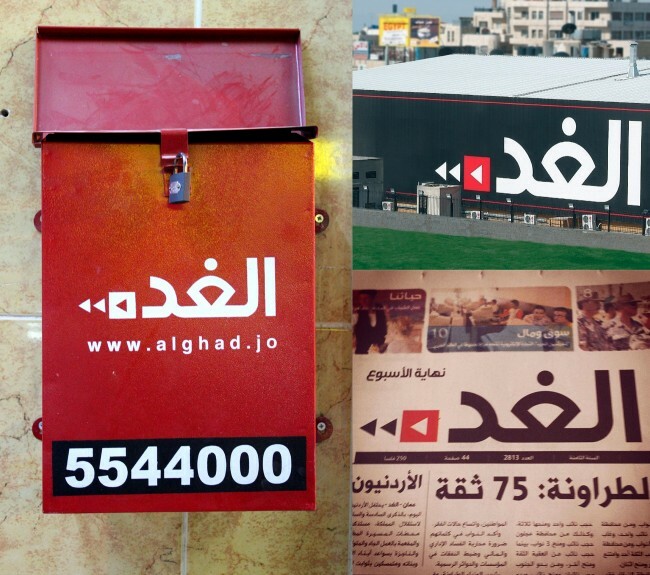 When we designed the logo and visual identity for Al-Ghad newspaper in 2004, we had no idea that this identity was going to be one of the strongest local brands in Jordan. Tarek Atrissi Design is very proud to be the creative minds behind one of the most visible logos in Jordan today. Al-Ghad newspaper was established in 2004 and aimed at having a different approach to journalism than the existing local newspapers. Supporting this vision required a design that is unique and that breaks the traditional approach of newspaper branding that was adopted at the time in Amman. The newspaper turned to Tarek Atrissi Design for the design of the main components for its brand: starting with the logo design and masthead design, in addition to other visual design elements related to the newspaper layout and brand presence. 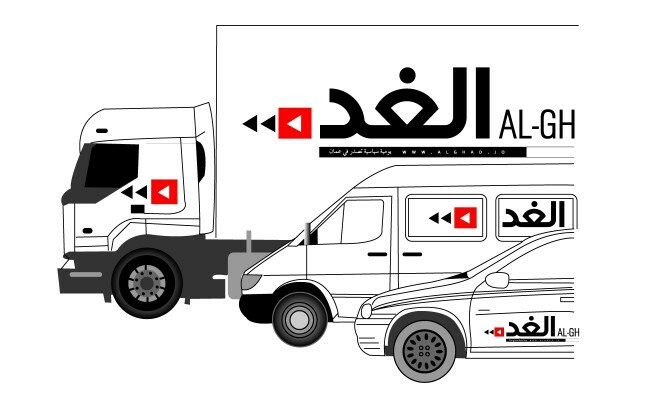 The logo designed for Al-Ghad newspaper was fresh and followed a typographic approach that courageously contrasted with the rather traditional calligraphic logos that other newspapers had. A unique Arabic lettering was crafted for the masthead, based on geometric circular elements that created a word that is bold and confident, despite “al-Ghad” being only a 4 letters Arabic word. A “fast-forward” icon was used next to the iconic lettering in order to reflect the futuristic vision of the newspaper (and to reflect the Arabic meaning of the word: “Tomorrow”). The simple geometric logo was ideal for usage on all kind of applications, from large signage on the newspaper’s building, to the printed newspaper itself and on the delivery vehicles as well as the metallic post boxes. Our branding work for al-Ghad included designing a custom Arabic font family for the headlines of the newspaper, as well various on screen elements such as animations, a corporate website, as well as interfaces for mobile apps.